Developmental editing, line editing, copyediting, proofreading ... what on earth is the difference and what's best for you when self-publishing? If you’re a beginner writer and you’re planning to self-publish, you’ll be thinking about getting your book fit for market. Some of you might not realize that there are different levels of editing. And even if you do, you might be fuzzy about what distinguishes each service or what it’s usually called. No shame in that, believe me – even among professional publishers and independent editors the terminology differs. Consensus be damned! The irony that this lack of clarity and consistency exists in a profession that prides itself on, well, clarity and consistency isn’t lost on me or my colleagues! ​In an effort to untangle the issue, I’m offering you a potted guide to the different levels of editing – what each one deals with, what you might expect it to be called, and the questions to ask when you’re sourcing editorial help. At the bottom of the article is a PDF that you can download to your preferred device and refer to whenever you want. Think of the editorial process like a play with several acts: writing, drafting, sourcing feedback from beta readers, self-editing, developmental editing or manuscript evaluation, line editing, copyediting, proofreading, publishing. The elements in bold are what we’re focusing on today. Basically, there are two levels of work going on – the macro and the micro. MACRO – this is where developmental editing (also sometimes called content editing, substantive editing or structural editing) and manuscript evaluations (sometimes known as manuscript reviews or editorial critiques) are to be found. It’s big-picture work that looks at the novel as a whole. 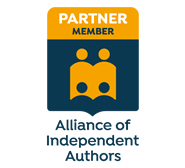 Editors who specialize in this level of service focus on how your book works – stuff like structure, plot, flow, point of view, characterization and pace. MICRO – this is where line editing, copyediting and proofreading are to be found. It’s sentence-level work that looks at the text on a line-by-line and word-by-word basis. Editors who specialize in these levels of service ensure your readers don’t trip up. Standard grammar, spelling and punctuation are focal points, but at copyediting and line-editing levels, clarity and readability are in play, too. Basic proofreading is usually the final prepublication check to catch any snafus that have been missed during the previous rounds of extensive professional revision. What terms should you use when sourcing editorial help? I offer a copyediting service that I call ‘Proofreading Plus’ – so called because it goes waaaay beyond basic proofreading – and a separate final prepublication quality-control service. My colleague Sophie Playle offers a copyediting/line editing service that she calls ‘Line and copy-editing’, and three separate and different developmental editing services. My colleague Gale Winskill offers a service called ‘Copy-editing’ that includes deeper macro work, what Sophie and I would define as developmental editing. And there you have it – three editors offering overlapping services and different terminology to describe what’s included. So what should you do? Take a look at the PDF I’ve included to give you an idea of what kinds of amendments can be made at either book or sentence level and which service they might be included in (I’ve deliberately allowed for overlap). Then use the information as a cross-referencing point when you’re checking out potential editors’ websites. If afterwards you’re still not sure what you need, prepare a couple of sample chapters that you can send with a request to quote. That way, your editors can advise you on what they think needs doing and whether they have the requisite skills. Think, too, about the rounds of professional editing your book’s already been through (or not). If you haven’t yet commissioned prior assistance, you’re unlikely to be ready for a final prepublication proofread. I’m not saying this to be difficult – I’m just telling you what I’ve learned in 27 years of working in this industry! Consider asking editors to carry out short sample edits. Some of us charge a nominal fee while others do it for free. Even if an editor asks you to pay a nominal fee, consider it an investment. Samples will give you valuable information – not so much about who’s the best but, rather, who’s the best fit. You might just love the way one editor clicks with your writing even though several others have also offered excellent work. Focus on what needs doing rather than what it’s called. You’ll save yourself a world of pain! Choose someone who makes you feel excited about being edited. Choose someone who’s comfortable with the genre you’re writing in. Take a look at editors' and proofreaders’ portfolios to see whether they have experience of working with books like yours. Once you’ve chosen your editor, brief them as well as you can. If you want your crime writing sharp and lean, and you feel you might have overdone the purple prose, tell them so they know that tightening up will be well received. If your fantasy novel is packed with made-up words, prepare your editor so they don’t bore you with unwelcome queries! Being edited makes some writers feel nervous or embarrassed. My telling you not to worry probably won’t help a jot, but remember this: we’re on your side – always! We’re your advocates and every change we make, or suggest, is done for you and serves your interests. We’re not there to criticize your writing but to elevate it. Be realistic. If you only hire one round of professional editing, at whatever level, please don’t expect perfection. It’s simply not possible. So, that’s it for now. I hope you’ve found this discussion of the different levels of editing useful. If there are particular questions that you want clarification on, drop me a line and I’ll do my best to answer them. As promised, here’s your potted guide! Just click on the image to download it to your device. Cheers, Annie. Good to know you found it useful! I found this very useful, and an interesting read. Thanks, Joanne! That's great to hear! This is a great, straight-forward description of the editing and proofing process. It is one that so many self-publishing authors need. Thank you, thank you! Thank YOU, Polly for your endorsement! So many of my clients struggle with the different levels of editing - which is hardly surprising given that the professionals' terminology is so tangled. I hope this helps them! Is there a website you would recommend where editors list their contact info and what services they offer? Thanks Louise - I'll send clients this way if they ask me what the differences are.